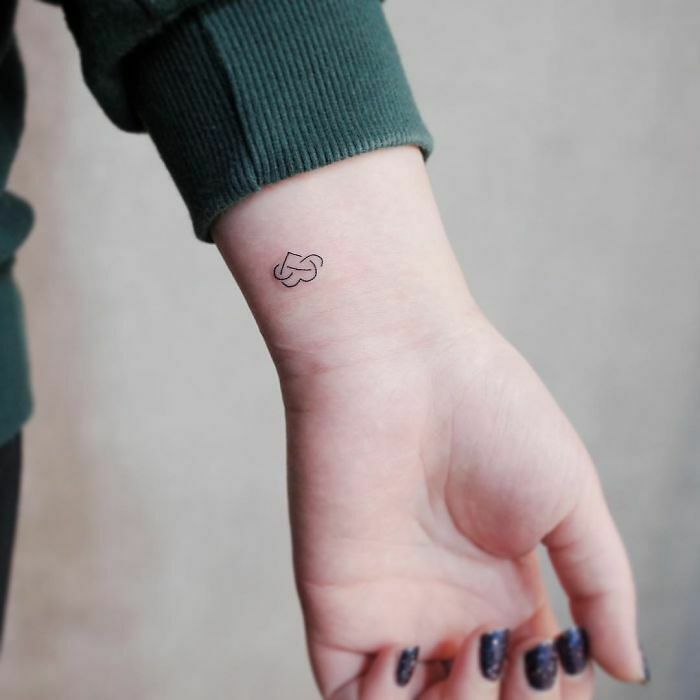 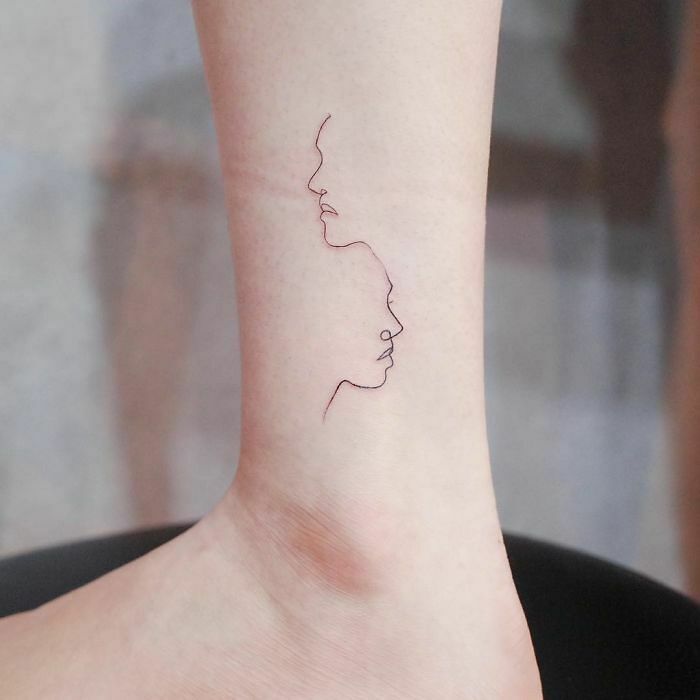 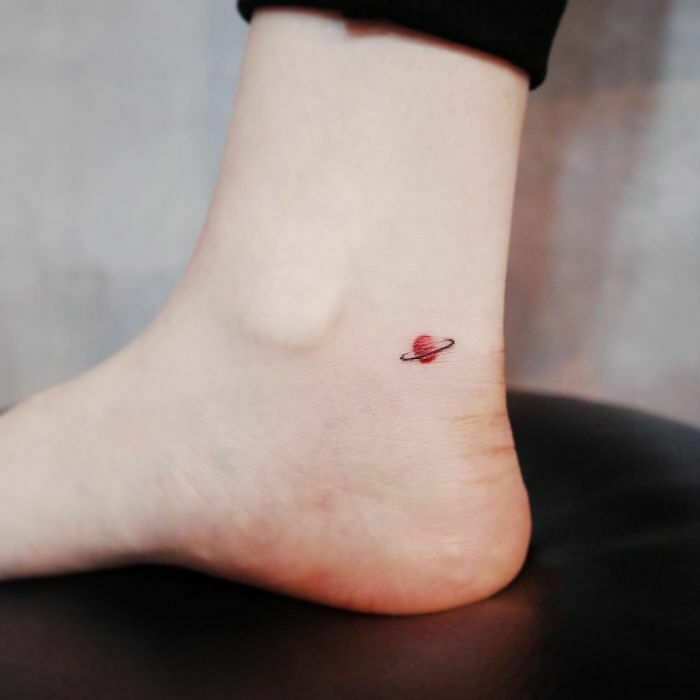 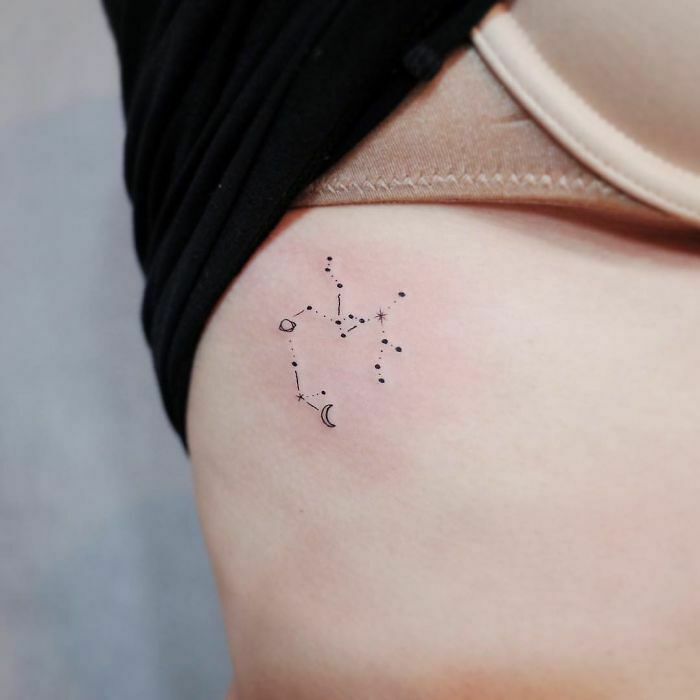 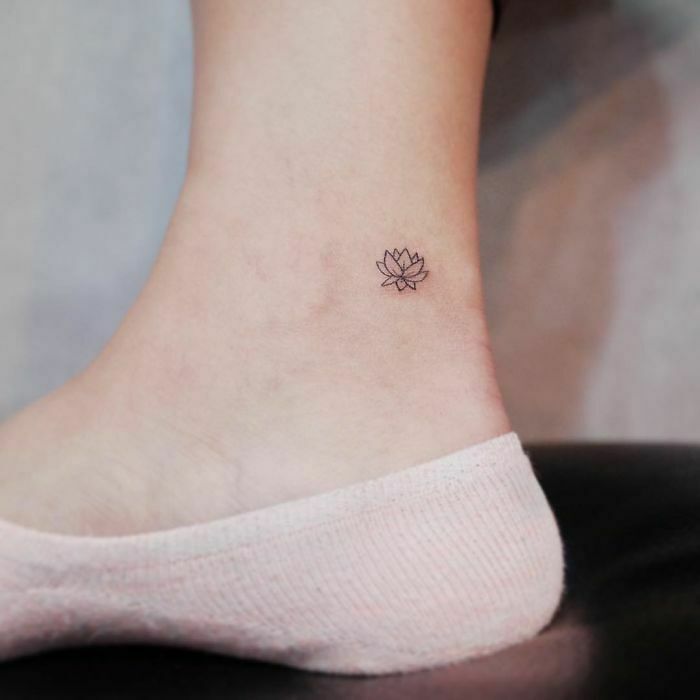 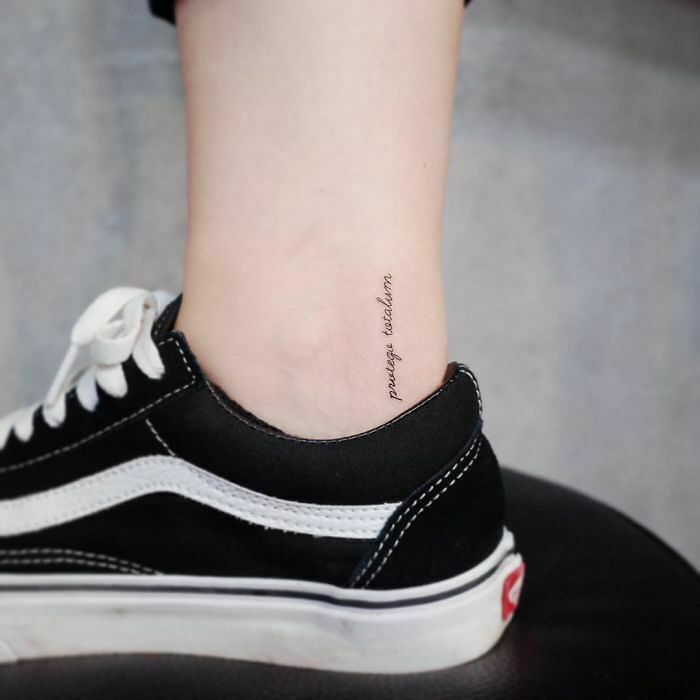 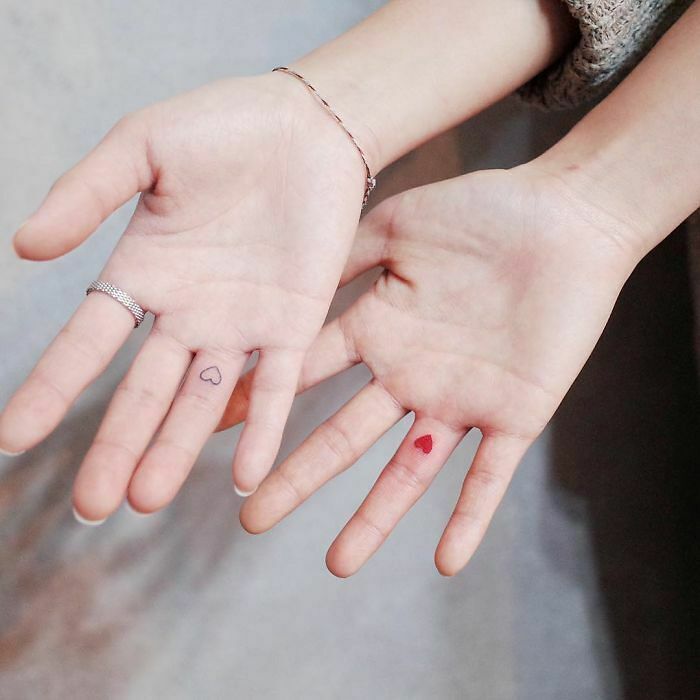 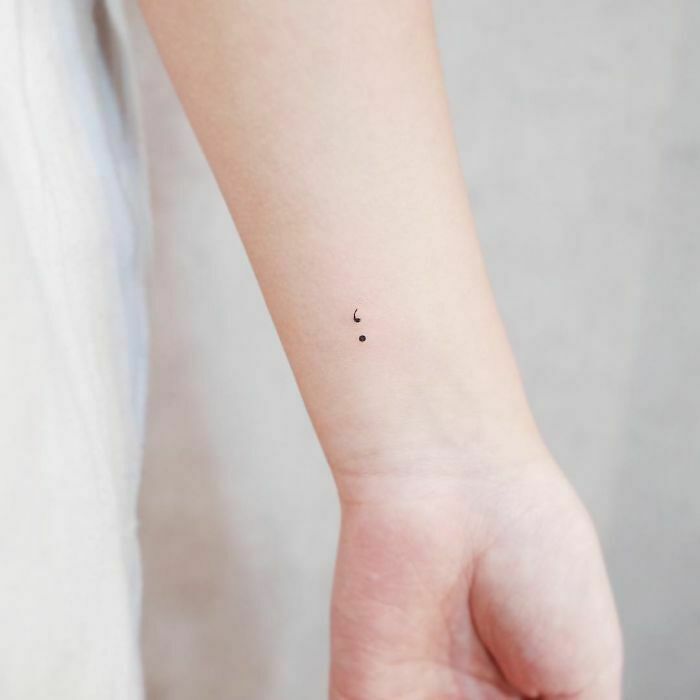 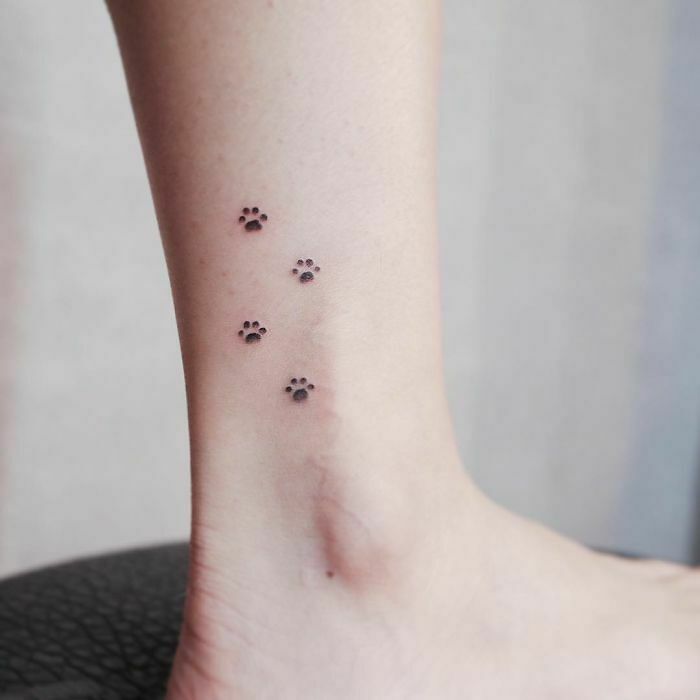 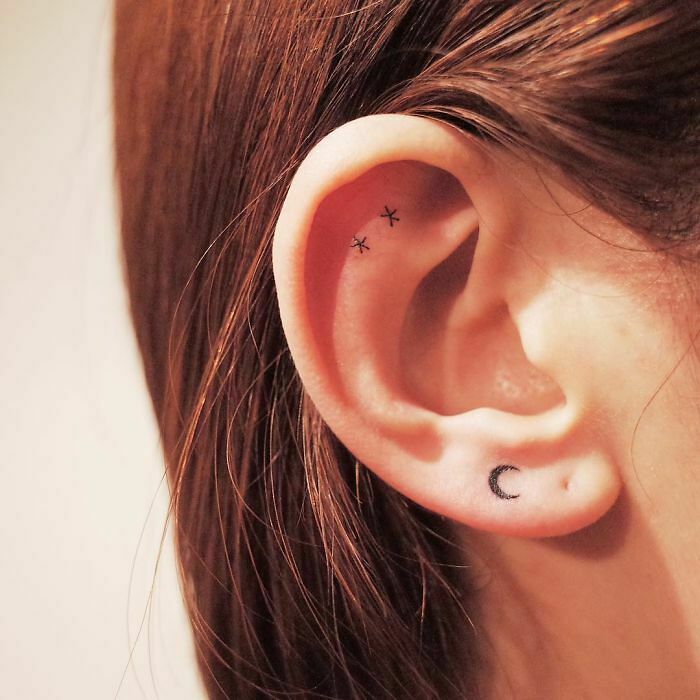 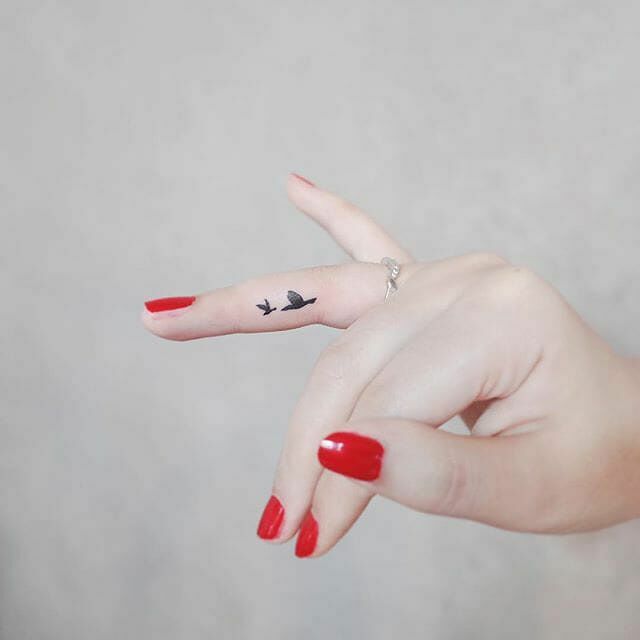 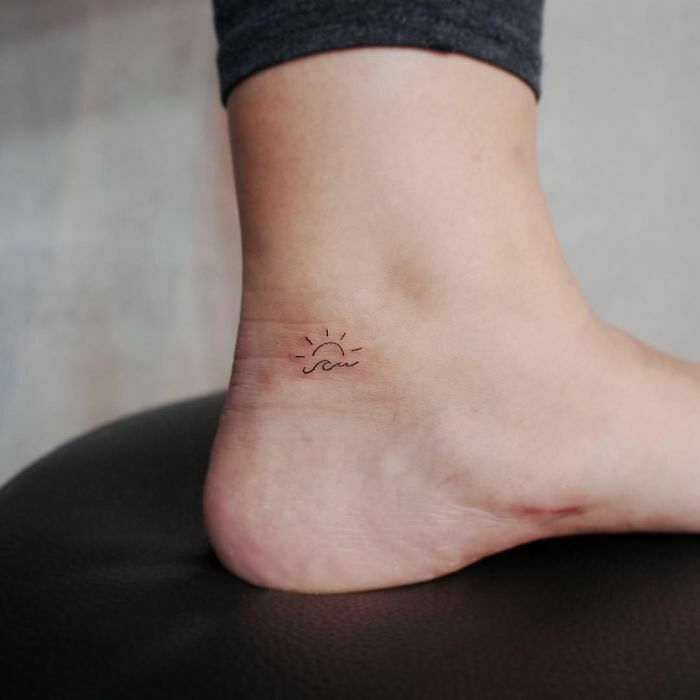 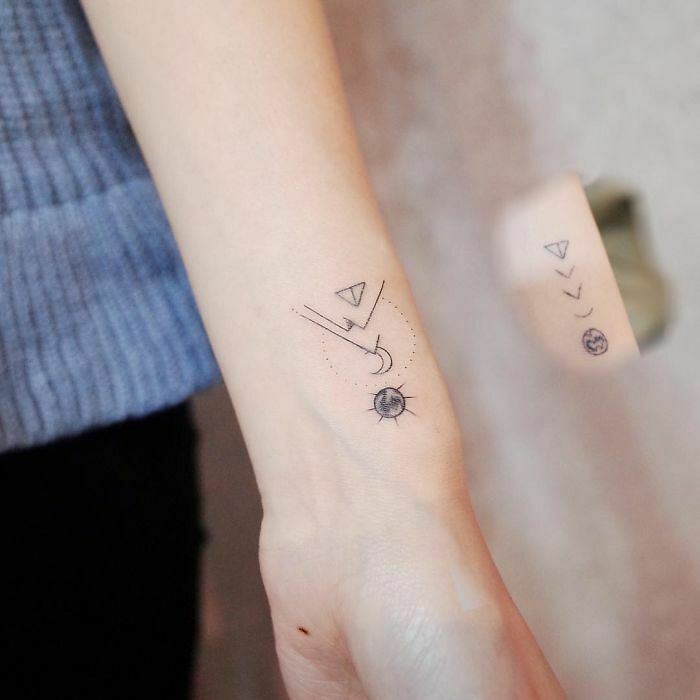 Tiny tattoos prove that small can be beautiful and that's definitely the case for these tiny tattoo designs by South Korean tattooist Witty Button that are minimalist masterpieces when it comes to body art. 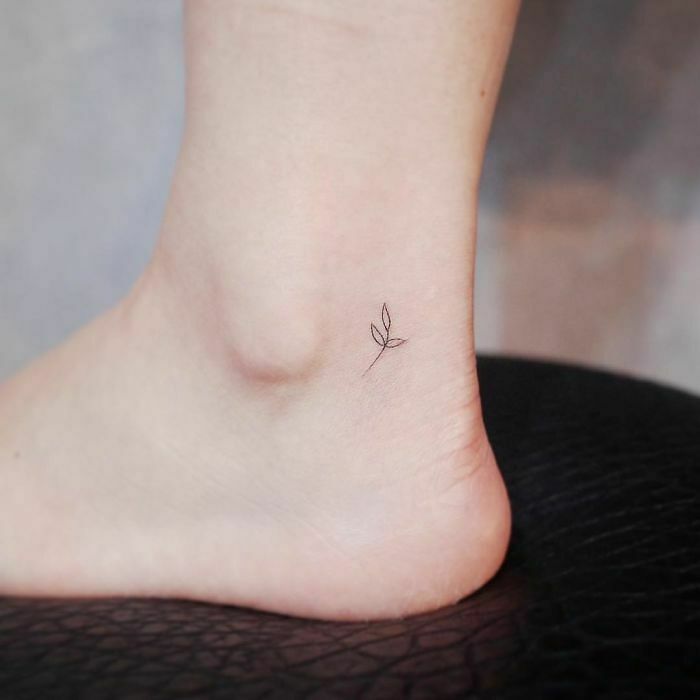 Button creates elegant and delicate designs, they are discreet tattoos tucked away on the back of a wrist or on an ankle. 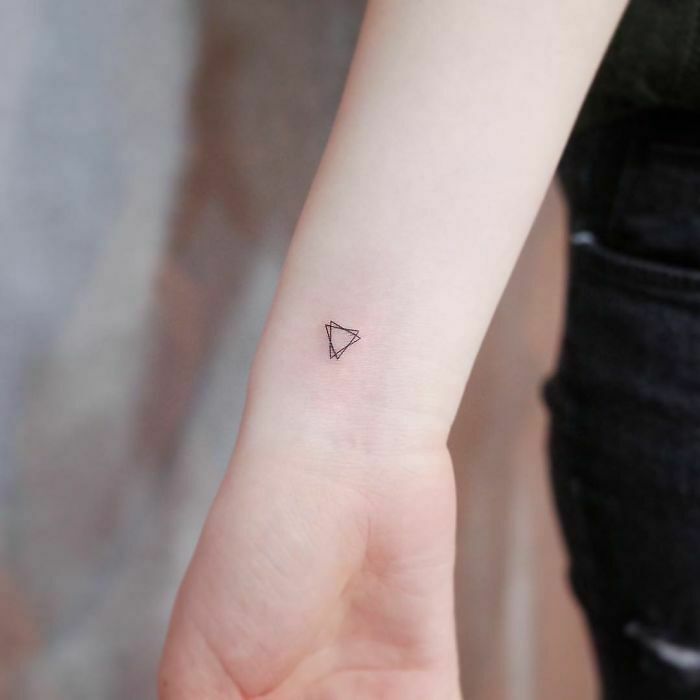 Even placed on the inside of a finger or ear. 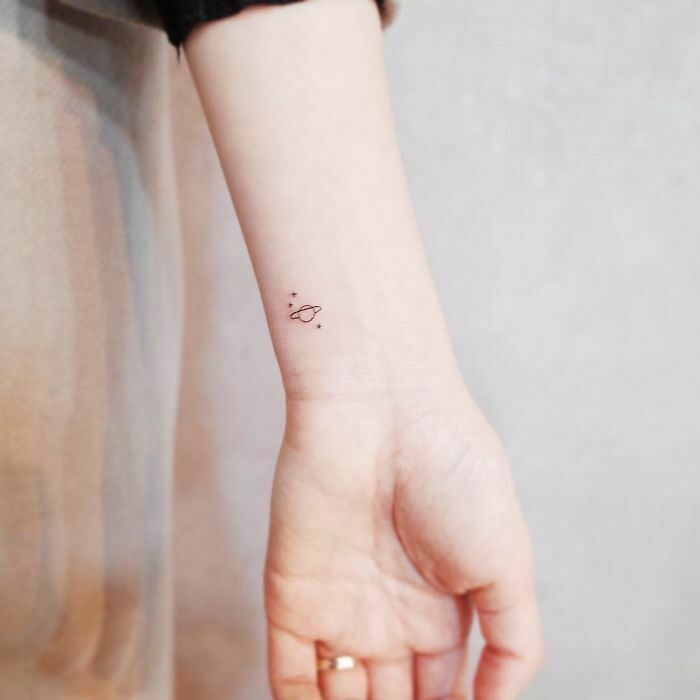 They represent a perfect example of 'less is more' when it comes to design. 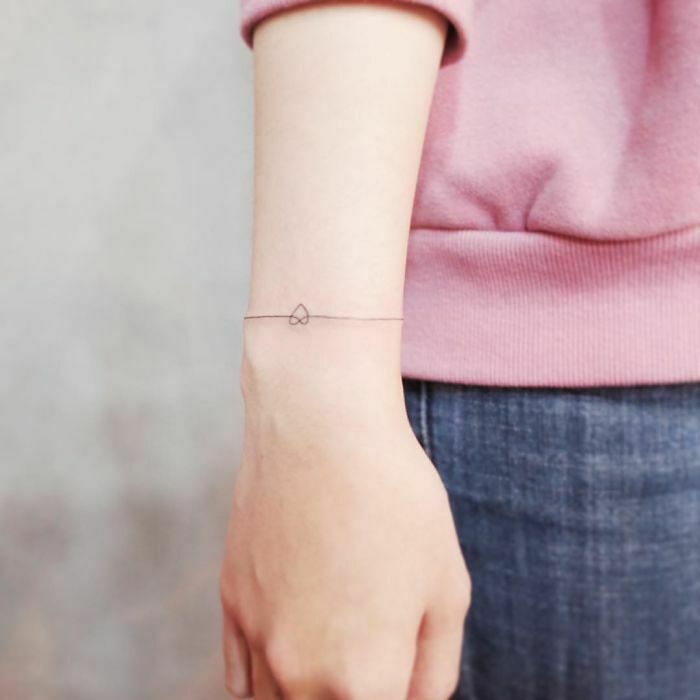 Button's tiny tattoos are usually done in black ink and feature a range of recurring shapes and symbols like hearts and crescent moons. 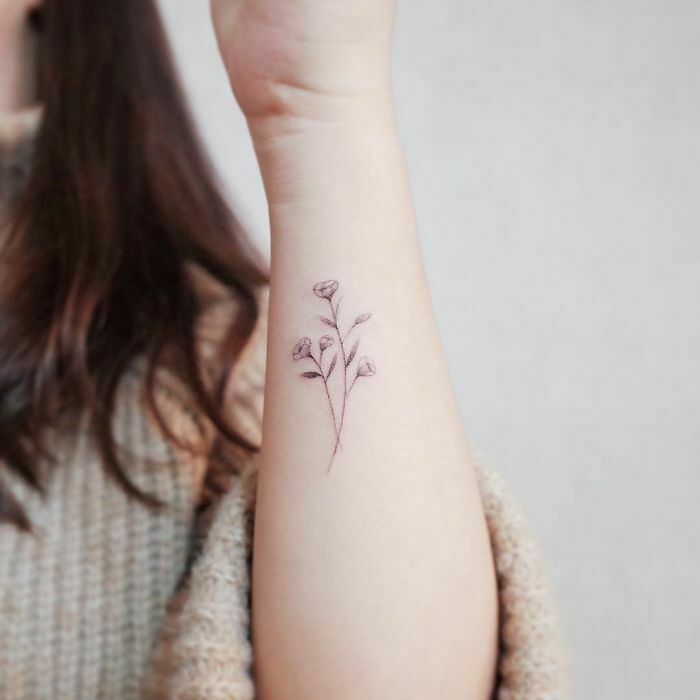 They also include handwritten words and flowers or other forms from nature. 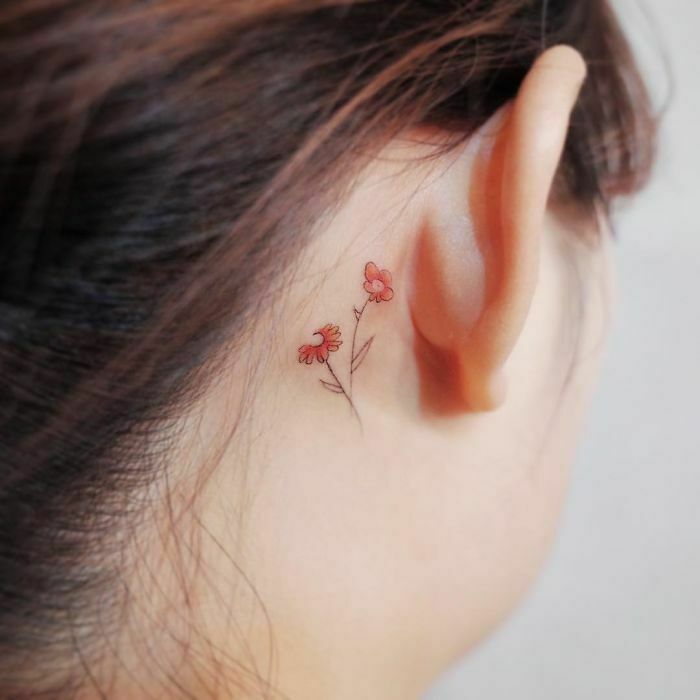 So slight are some of the designs you probably wouldn't spot them at first, especially as these tiny tattoos are placed in discreet places. 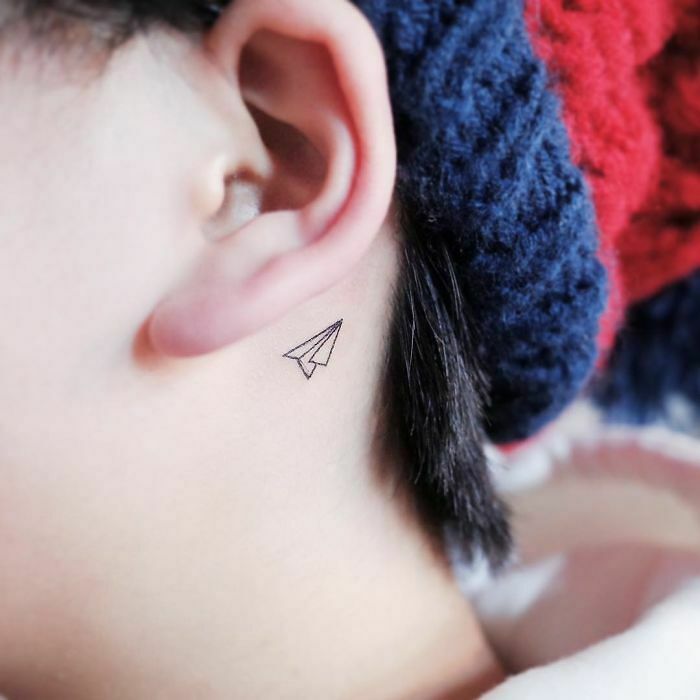 A good thing if you have over fussy parents or employees who frown on such things. 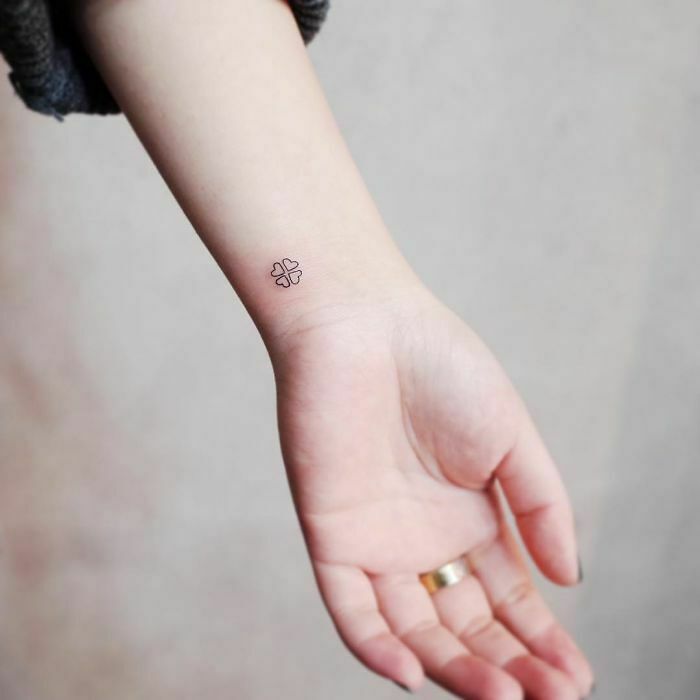 But as well as for aesthetic purposes, these discreet tattoos also hold a functional value. 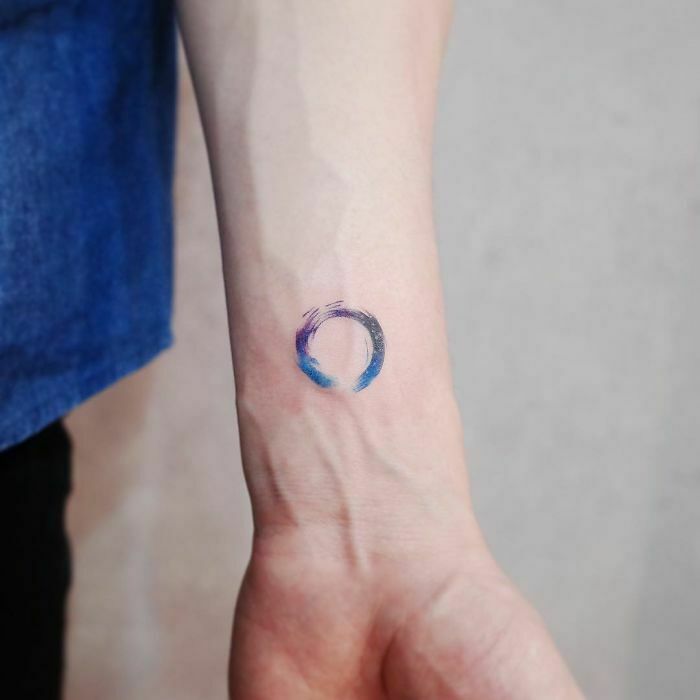 Because in South Korea tattooing is somewhat illegal. 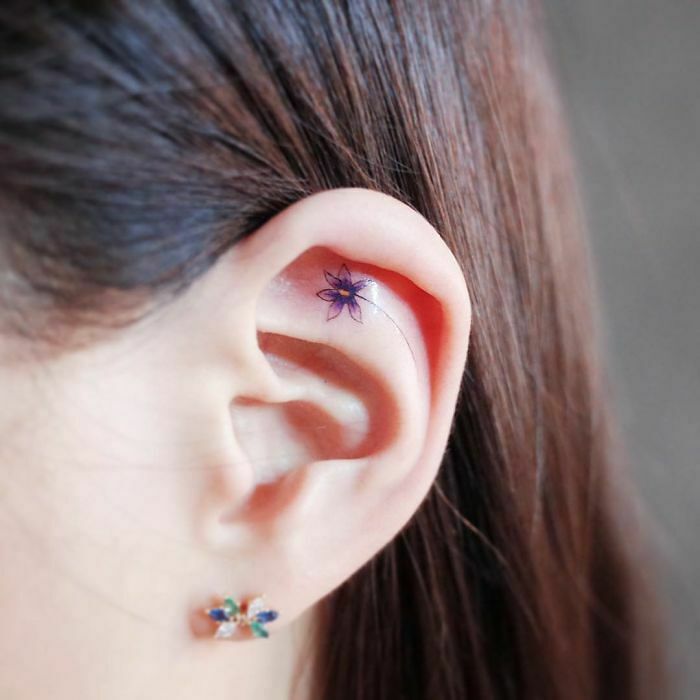 It's considered acupuncture and because of that requires a medical certificate to be performed. 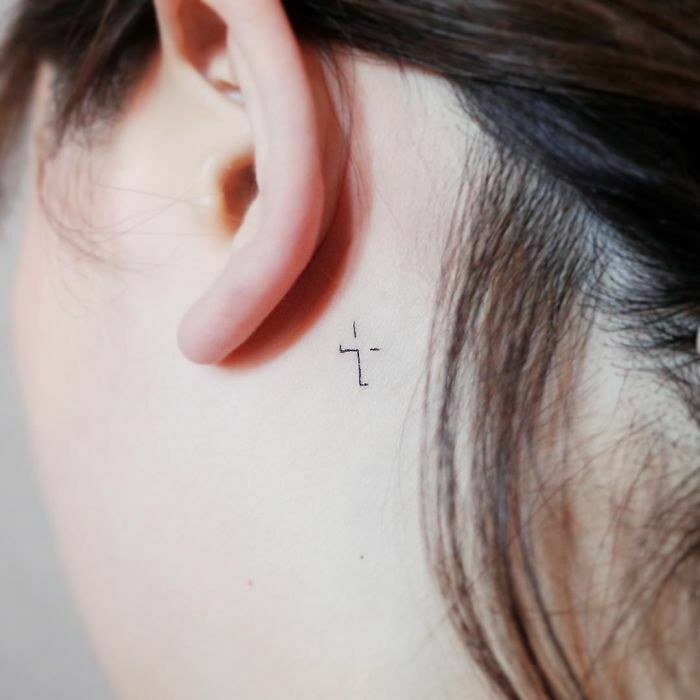 There has been a request for the government to revise the law around this, and revise their whole attitude to tattooing. 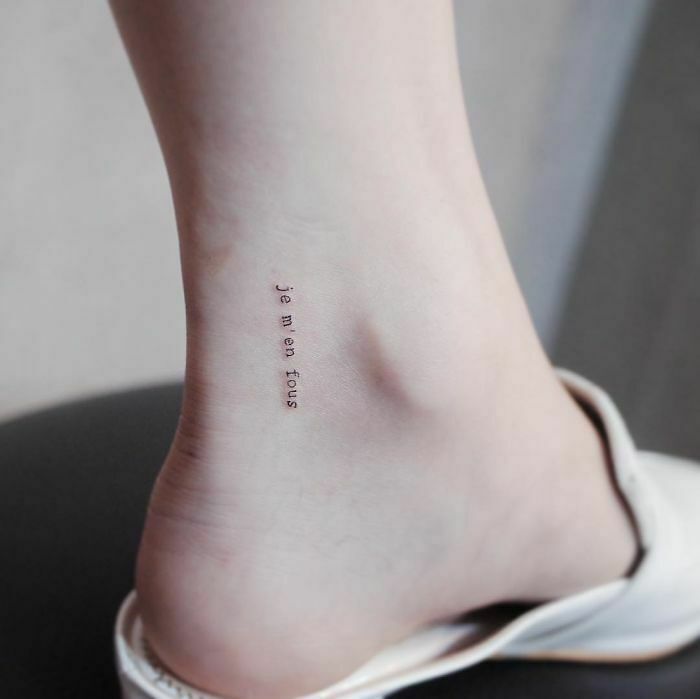 So hopefully things will change. 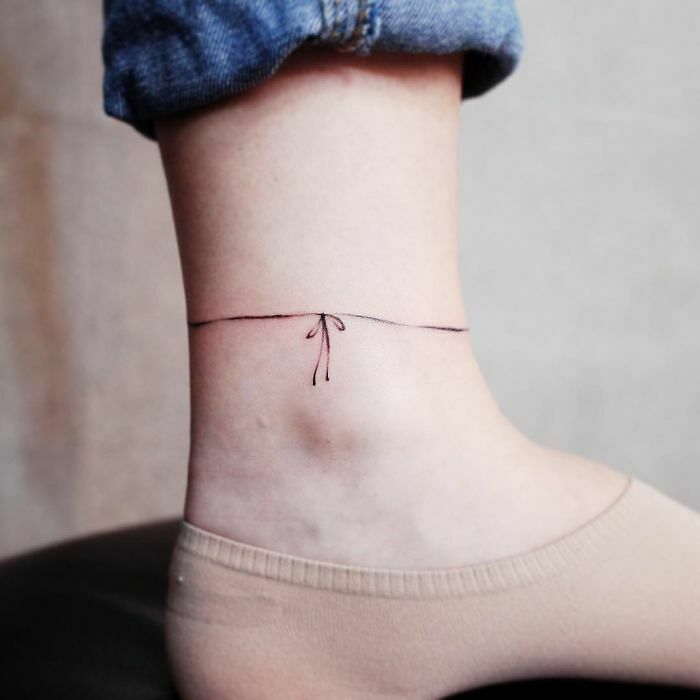 It was also previously seen as something done by more unsavory members of society, but as tattooists like Witty Button show with his tiny tattoos, that's no longer the case. 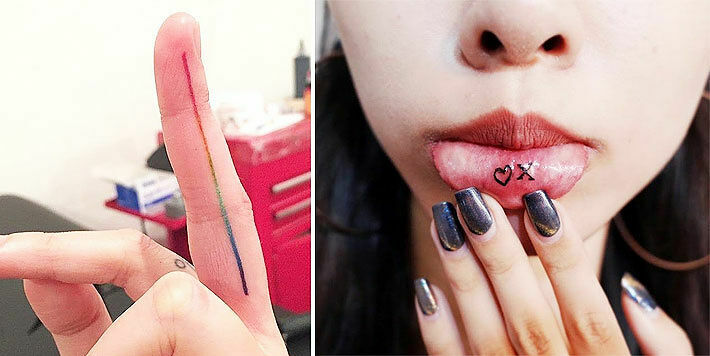 Many more people are getting them and attitudes towards tattoo culture are changing a lot. 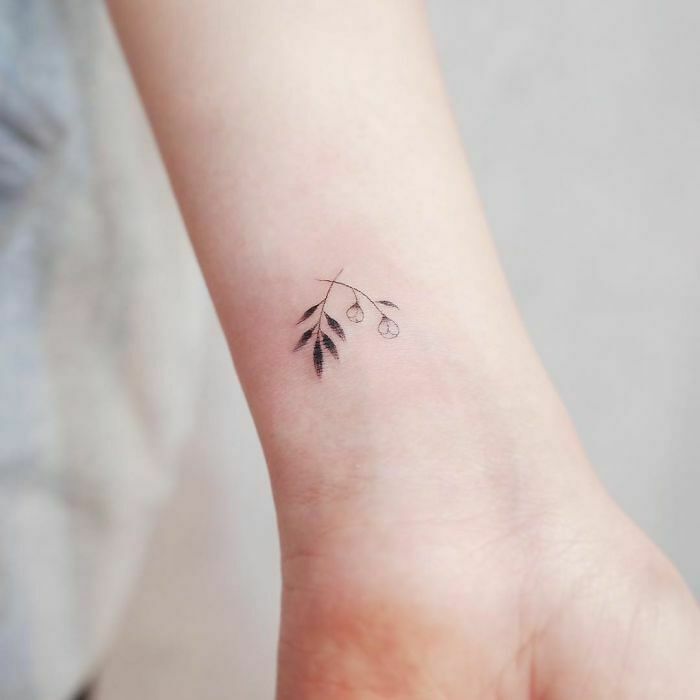 Because as these tiny tattoos show, along with being bold and brash, designs can be graceful and cute too. 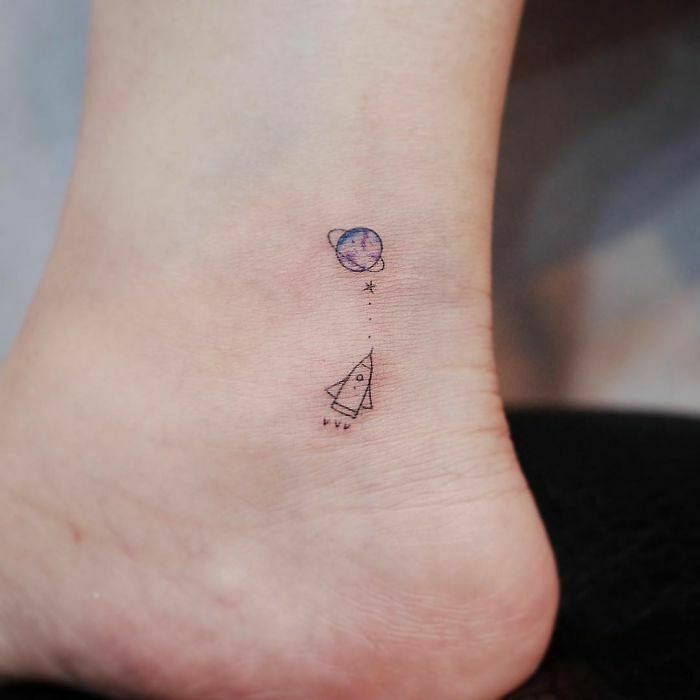 Check out some of Witty Button's tiny tattoos below. 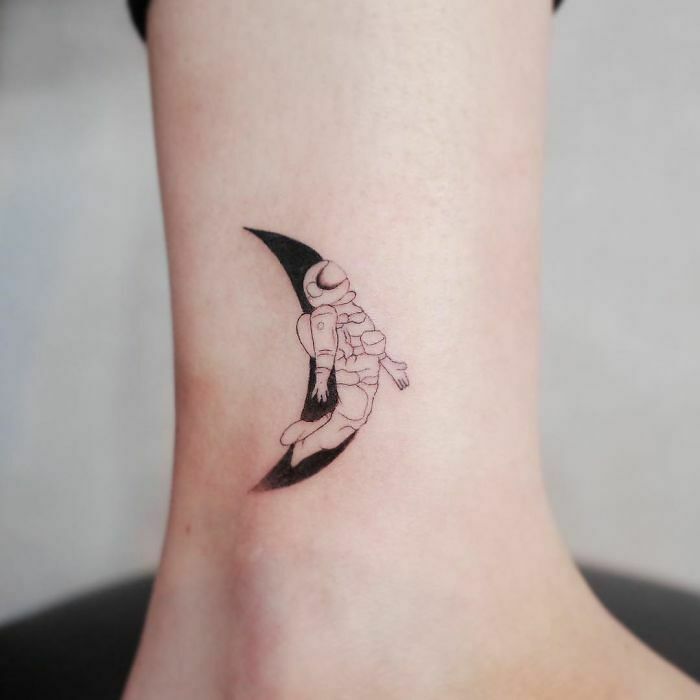 And head to his Instagram page for more.